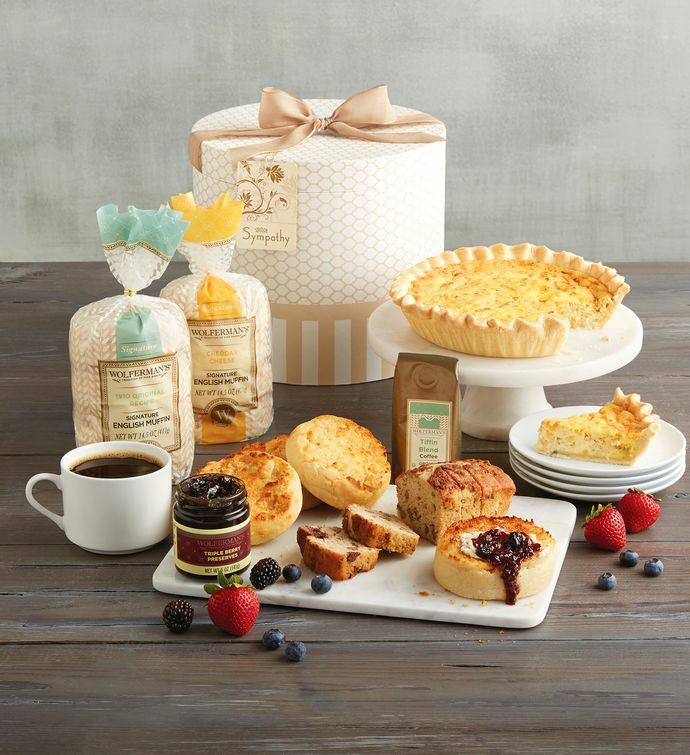 Show you care by sending a beautiful hatbox filled with gourmet comfort food. There is a triple cheese onion quiche, two kinds of Wolferman's® super-thick signature English muffins, and banana pecan loaf cake for an easy buffet. We've included triple berry preserves and Tiffin blend coffee to serve alongside. Topped with a hand-tied bow and a With Sympathy tag, this gift is a perfect way to send your condolences and support during a difficult time.